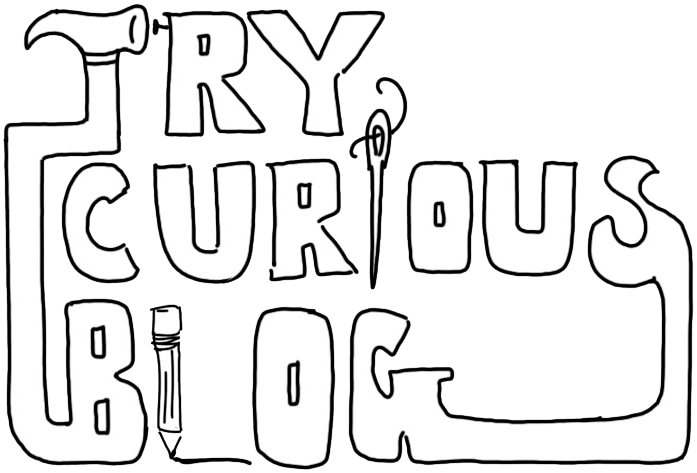 Around Christmas time last year I was deep in the rabbit hole of sewing blogs and reading the personal musings of strangers ad nauseam when I stumbled across a post about DIY shoe making. 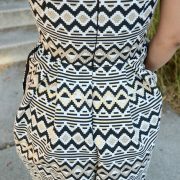 I don’t remember the name of the girl or her blog, but I did make sure to pin all the information she shared. I was immediately intrigued by the idea of making my own shoes, and more than a little shocked- I didn’t think that cobbling shoes would have ever evolved (or devolved, depending on where you stand on the subject) into something a person could do on their own without major machinery and decades of experience under their belts. I was so excited about the prospect that my heart started to race fast and I couldn’t google search fast enough! For something I had never before even conceived as a reality, there sure was a fair amount of information about it on the internets. 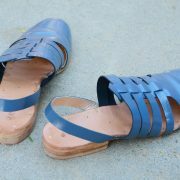 There are so many schools of thought regarding the best ways to DIY your own shoes, and the finished projects run the gamut from super simplistic felted slippers to high heeled shoes with leather soles and buckles. I am still weeding my way through all the information I am finding, and hopefully I will get to a place where I can keep the ideas and techniques that work for what I want to create and discard all the other stuff, melding a bunch of steps from different schools of thought into a method that works best for me. That sounds really optimistic and I realize that I may never have the chance to see this through, but the process has proven to be SUPER fun and challenging so far. The first avenue I went down on the road to shoe-making was to buy this book by Mary Wales Loomis, which I had learned about in that blog I stumbled upon. 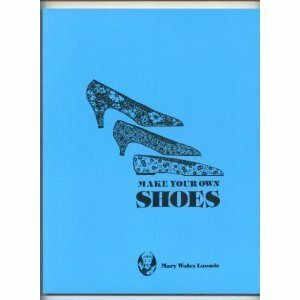 Mary Wales Loomis is an entrepreneur who published Make Your Own Shoes, a book about the technique she developed for building her own shoes after she essentially took one of her favorite shoes apart to see how it was made and then replicated it using inexpensive and found materials. Her story is incredibly inspiring because she never took “no” for an answer (the art of cobbling seems to have a lot of gatekeepers in place to ensure that no one ever gets the idea that shoemaking can be done for FUN and CHEAPLY), and she researched and asked professionals and experimented on her own for a long time until she was finally able to successfully make her first wearable pair of shoes. I am about mid-way through my first pair of shoes using the steps in her book, and I also made a pair of lasts per her instructions. 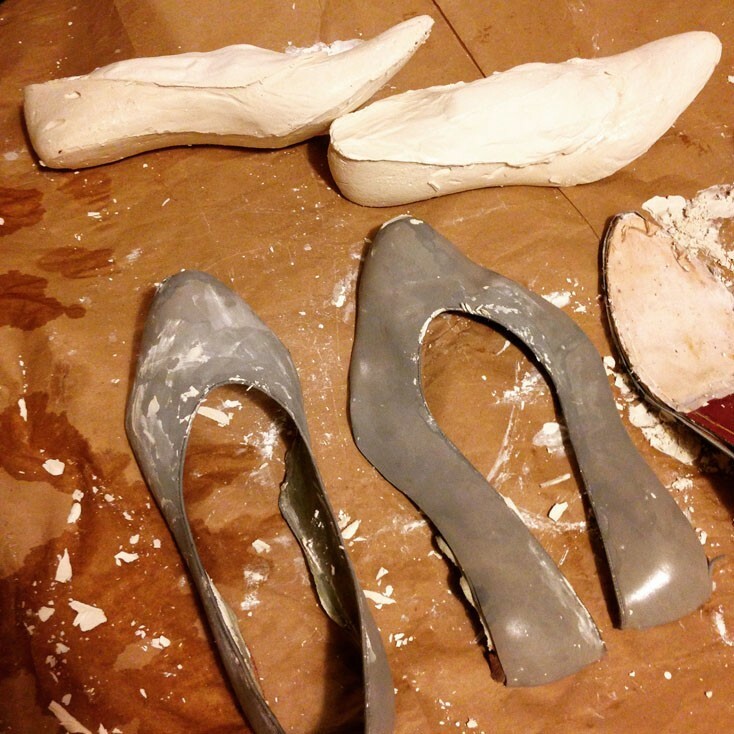 vintage shoes from Goodwill filled with plaster of paris. For those unfamiliar, lasts are molds that mimic the general shape and curves of a foot, and you build your shoe around it. They are made either out of wood or durable plastic, and you need a different last for each of your feet. Lasts also differ for size, heel height and each toe shape (like oval, square, pointy or round). 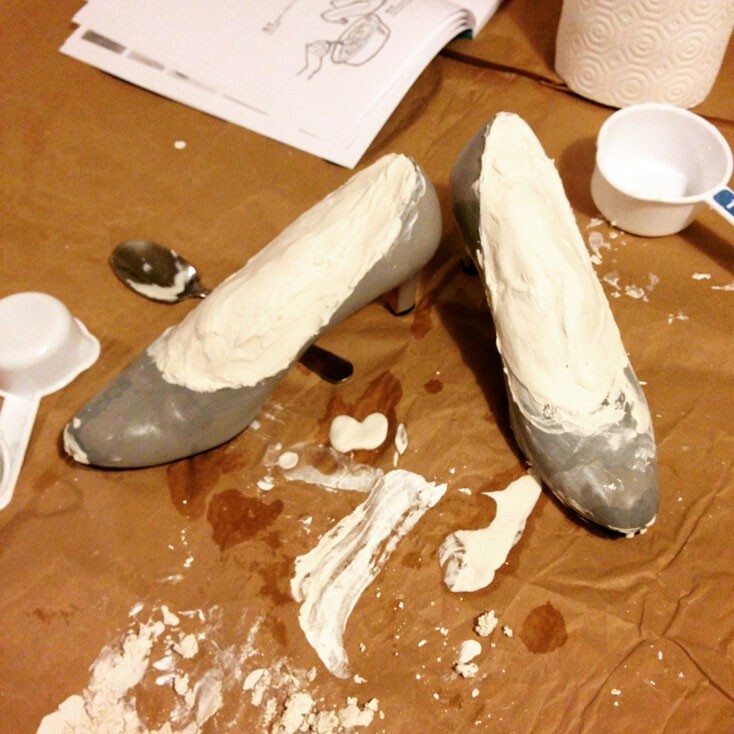 If you know where to look, you can buy affordable vintage lasts online or new ones from specialty shoe component stores, but you can also make them out of an old pair of shoes and plaster of paris, which is how I made my first pair. 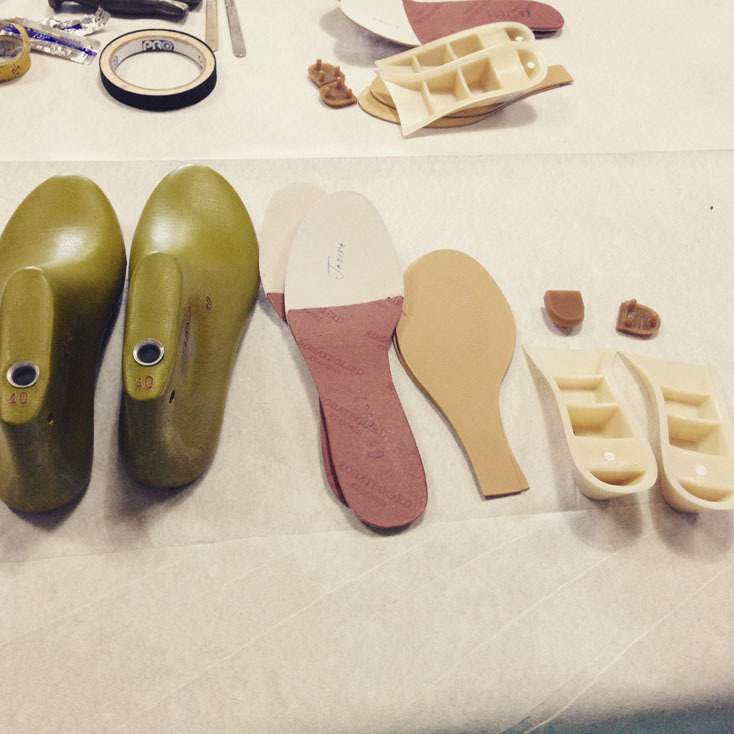 The con of making your own lasts is that you can’t bend or fold the last once your components are put together on it, so you have to use different steps when molding the shoe upper and attaching the insole. The pro is that they are super cheap to make and you can cater them to your own specific needs, like if you have a bunion or one foot that is a different size than the other, or extremely narrow feet. The other direction I went down in my quest to learn to make shoes was to seek out ready-made shoe kits with all the components necessary to make a pair of shoes. This is where I discovered a company called I Can Make Shoes based out of London that offers classes in addition to their kits to give you hands-on training in making shoes. Although the idea of the kit is innovative and oh-so tempting, I opted to hold off on buying one to do a little more researching on my own instead- for a little more than the price of a kit, I could spend money on tools and components and have enough material to make a FEW pairs of shoes instead of just one. I Can Make Shoes also offers PDFs for purchase on shoe design and shoe making, so I might just buy some of that material to add to my ever expanding pile of research. After finding the I Can Make Shoes brand, I discovered yet another make-your-own-shoes organization called Prescott & Mackay, also based out of London, that offered 1 day, 2 day, and 5 day courses in everything from leather bags to high heeled shoes to sandals to accessories. I was really interested in this company because I saw that a couple times a year they offered a course in Berkley, CA, and traveling up to the Bay area seemed a lot easier than flying to London for a week. The next course they were offering in the states was for a 5 day heel making class in Berkley that was to take place in the middle of April, which was already turning out to be a busy month for me; I decided I couldn’t make it happen then and would instead try and sign up for the class they would be offering in the Fall. But lo and behold, a few days later I received a newsletter from P&M saying they were offering their first ever course in Los Angeles, a 1 day sandal making class, and it happened to be on a day when I was free. It seemed too serendipitous to pass up. The class was taught by Melissa of P&M who was very knowledgeable and efficient in her teaching skills, and just generally a lovely person to learn from. She was able to rent the space of a furniture store in Mid-City to hold the class, and myself and four other women all sat at a big table with all the tools and components necessary for the sandals placed in front of us and got to learn the basics of shoe making together. 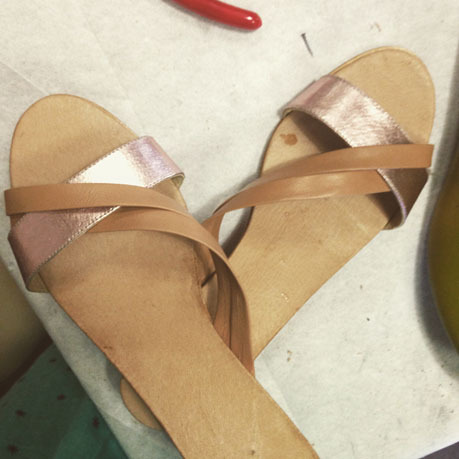 The mood was lively and easy-going, but 8 hours to make a pair of sandals from scratch is hardly enough time if you have never done it before (some of us had more experience than others). I appreciated the “1 day” aspect of the course, but it was really only enough time to physically make the shoes- we could have used a few more hours to talk about design, functionality and wear-ability of our sandals. The other unfortunate thing about our class was that there were no machines to sew straps or tidy up leather edges or press our soles on, since it was a pop-up class in an environment that didn’t have the conveniences of their London school. So we were a bit limited in what we could do with our shoes. But this is in no way a complaint- I was very happy with the course, I learned a ton from Melissa and from the other people in the class, and it was a perfect companion to Loomis’ Make Your Own Shoes book, which I had already read cover to cover. 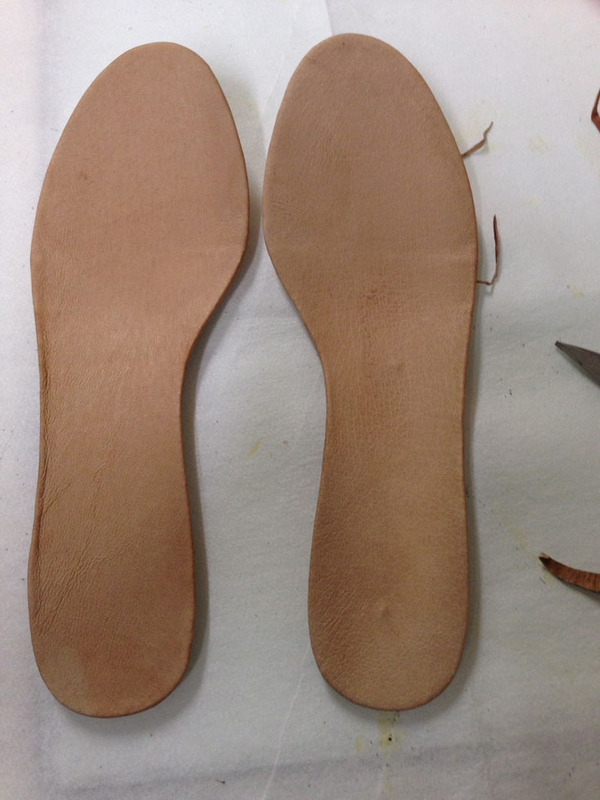 this insole is made special for sandals so that you can place the straps in the little nooks on the bottom. 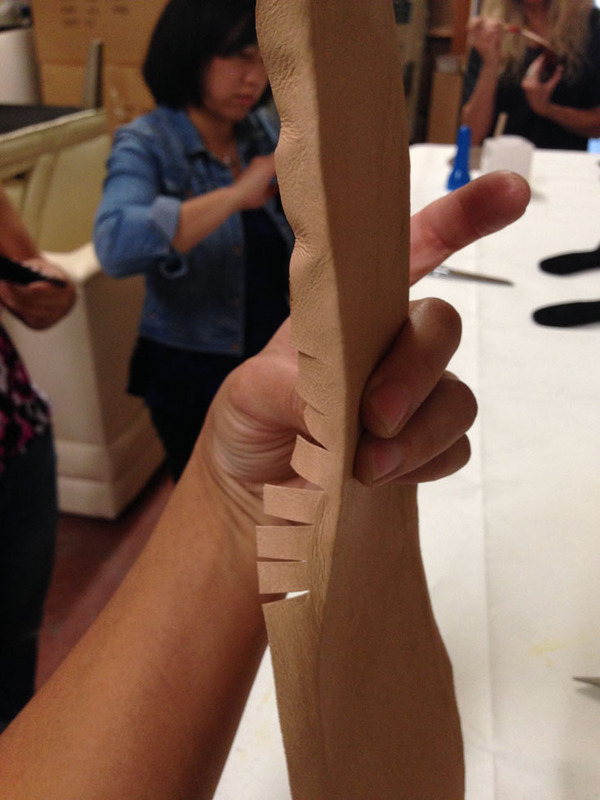 here the insole is nailed to the bottom of the last to keep it steady. fitting the leather onto the insole by clipping curves, just like in sewing! I learned a few really key things in the P&M class that have me very excited to continue the process of DIY shoe making. The first is this: leather is, from my vantage point, the most ideal material to make shoes from, and I am very excited to learn more about leather crafting. I bought myself a couple of introductory books into leather making last year, the most useful of which is called The Leatherworking Handbook, which gives a very detailed overview of the different types of leather, what you can make with it, and how to work with it and sew it. Having a better understanding of leather and how to manipulate it is going to aid me a lot in being able to make the kinds of shoes that I envision in my head, and I never realized this before. When I first started making shoes from the steps provided in Make Your Own Shoes, I tried to start with plain fabric material since I was just learning. 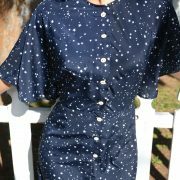 Regular fabric is definitely a fine material to use, but it requires so much to make it sturdy and pliable- using a good leather of the proper weight takes less work, less material, and creates beautiful results. Becoming more knowledgeable about leather crafting will make this book more helpful to me, too (I am dying to make a pair of cute Mary Janes using the guidelines from this document). 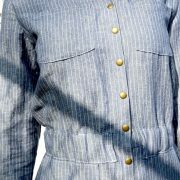 very pretty but barely wearable. Another thing that I learned in class was that you must be as thoughtful about the design of your shoe as you are about the process of making it. As I wrote earlier, our class did not allow us much time to contemplate the blueprint of what we were creating, which makes perfect sense given the constraints of the course. In my head I was intending to make a wedge sandal with leather straps across the top of the shoe and a leather back that had straps or a buckle to tie around the ankle. By the time I was ready to plan out how the back of my shoe would look, we had already moved on to the next phase of gluing our shoe pieces together, which required some time limitations, so if I wanted to have a completed shoe by the end of the class, I needed to alter my design, sans shoe back. My last minute decision was to add some skinnier straps to criss-cross over the shoe from the inner toe edge to the opposite heel edge, which looked pretty, but I knew it wasn’t going to be sturdy enough to keep the shoe on the foot, and I was totally right. At the end of class when our shoes had all been glued together, I tried mine on, and as soon as I took a step in it it just kind of slid around and then OFF of my foot; in addition to inefficient strap placement, the last that I used to make my shoes was also one size too big, so that didn’t do anything to help them stay on my feet. If I had had enough time (and the equipment necessary) to make a back to the shoes, they might have actually been wearable, but I wasn’t too disappointed- I learned a lot and I definitely feel more confident in making more sandals for the future, and that’s really all I wanted from the course. By listening to the other ladies in class chat, I also learned of the best place in LA to get beautiful, affordable leather (it’s called SAVE MOR and it’s incredible!) and I learned of some new sources to buy shoe components and lasts- I am keeping my eyes out for a flat ladies last with a slightly rounded toe in my size- if you find one, holler at me. top view looks cute as long as I am stationary. side view- you can see that I didn’t do a great job with gluing the soles to the bottom, but there wasn’t enough time in class to re-glue and re-attach, and I already knew the shoes weren’t going to function so I didn’t want to waste my time. You are a multi-talented woman. 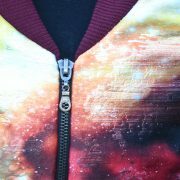 That is a great design. Thank you for the information. Where did you find lasts and shoe components? 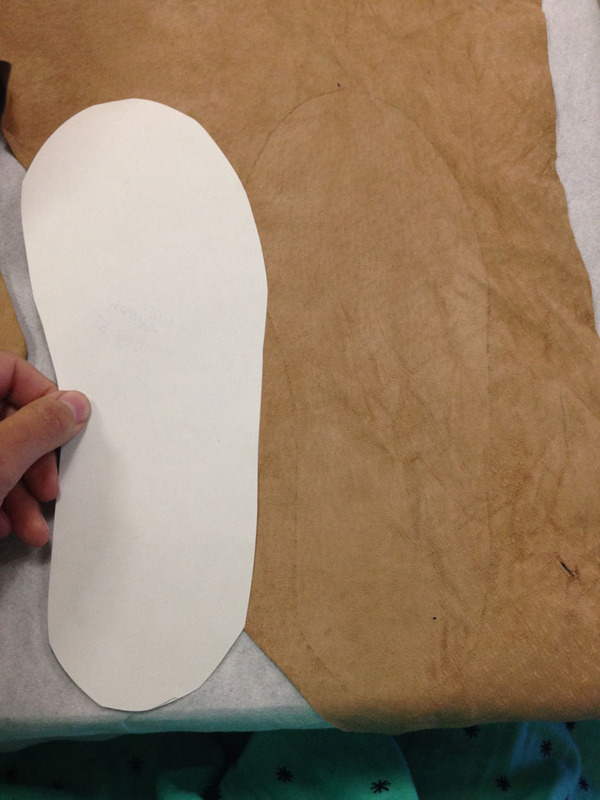 Check out the “shoe making” tag on my blog for additional resources. Basically you just have to scour the internet to find providers of the tools and components you need. I also shop at a store in LA called Saderma.